The last few days as a Bloomsburg University student are filled with many emotions. From the giddiness of graduation, to the nostalgia of walking around town and reflecting on past memories with friends, it is a true roller coaster ride that is finally coming to an end. Let’s take a look at what exactly seniors are feeling as we wind down the 2015-2016 school year. There is happiness when you finally buy your cap and gown, because let’s face it, college wears us out. Everyone hits the point where they say (or tweet) that they can’t wait to be done with college. You feel excited and can see and feel yourself finally crossing the finish line. No more tests (unless you’re getting your Masters), no more pulling an all-nighter to finish a project, among many other things. It’s not all excitement though. There is surrealness when, after buying the cap and gown, you realize there will be no more classes with friends. There will be no more sitting on the quad in April as you work on your tan when you should be studying. There will be no more making alcohol runs at 9:00 p.m. on a Thursday because, well, it’s Thursday and we all know what happens on Thursday. Sure, you’ll be back to visit, but it will only be for a short period of time and you’ll desperately wish you didn’t have to leave, as you have to go back to your day job while your younger friends enjoy their time at BU. There is a sense of accomplishment as you walk up and down the quad after taking your last final, knowing you took on everything BU had to offer, and won. Every time you were knocked down, you got back up; no matter how many mental breakdowns you had in the process. No matter how hard/annoying the professor or class or schedule, you persevered. You balanced classes, work, friends and about a million other things and guess what—you are so much stronger of a person for having done so. There is a sense of fear as you take one of your last walks on the quad, and realize that you are truly on your own for the rest of your life. While you have been away from your parent/guardians for four years, you haven’t yet entered ‘the real world.’ You have some loans for housing, a meal plan and classes as opposed to a full-time job. But now it’s time to pay off those loans and work 40-50 hours a week while supporting yourself. Your circle of friends is going to shrink and while everyone that’s not a senior has been partying and having fun this semester, you have been feverously applying for jobs/internships. You hope to hear back from just 25% of the places you apply to, but you know that’s not even a guarantee. There is a sense of calmness, albeit a strange, eerie calm that resides inside of you that you can’t really explain. Yes there are all the above emotions but somehow, someway, you just accept it. You know that you have had a blast these past four years and that it’s time to move on. There is a whole world out there for you to explore and excel in, and you know you are going to burst through the doors and take any challenge head on. You can do nothing but sit and smile as you think about all of the memories and how you’ll never forget the best times of your life. So go on, take that extra walk on the quad instead of sitting inside, buy Pink Wieners at 2:00 a.m., go out with your friends and sing karaoke at GOD’s. Time is more precious now than ever, and as we all know, it waits for no man or woman. Enjoy every possible second you have left because before you know it, it will be gone. So here’s to BU, a place that has infuriated me at times, and also seen me be the happiest I’ve ever been. A place that has watched me be at my absolute lowest point, but also some of my highest points. Where I’ve grown up and learned to be a different me, a better me. 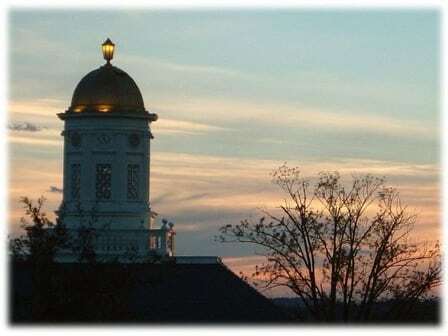 A school that while often swirled in controversy and debate (Come on, we’re a party school; admit it), has been a place that I can call home and call my own. Here’s to you, Bloomsburg University. See you soon. Previous articleEagles draft Wentz; Bradford now on the outside?